Harcourts Warragul opened the doors in February 2012 and has had an immediate and successful impact on the local Real Estate market. Managing Director Evan Broadbent who enters his 15th year in the industry locally is committed to raising the bar for Real Estate services in Warragul and the surrounding district. Harcourts Warragul bring a fresh approach to Real Estate, with a young and enthusiastic team, keen to work hard and provide excellent service to their clients. We offer a wide range of Real Estate services to our clients. These include the marketing and sale of farms, farmlets, residential homes, house and land, vacant land, as well as commercial and industrial property. We have a growing Property Management department for residential, commercial and industrial properties. Located on the prominent corner of Smith Street and Palmerston Street, right in the heart of town, means our office can offer you unmatched exposure for your property. Complimented by poster size window advertisements, and rolling visual screens, means you get access to Warragul’s number 1 window display. At Harcourts Warragul we believe about standing out from the crowd. We know that if we stand out, so does your property. Harcourts are constantly asking how we can improve our systems, how we can offer our clients even higher levels of personal and professional service, and how we can train and equip our people to achieve the best possible results. That's what clearly sets Harcourts apart in the real estate industry. 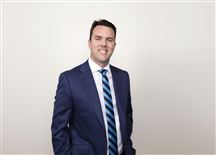 Evan Broadbent started his Real Estate career back in October 1998 and is now into his 20th year in Real Estate locally. He is a fully Licensed Estate Agent and Auctioneer, who has been recognised with numerous individual awards of achievement in his field. 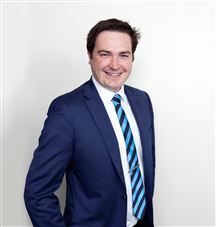 He now marks the establishment and ongoing operation of Harcourts Warragul as his biggest professional achievement, and is committed to ensuring the early success of the company will continue for many years to come. Evan is focused on recruiting an elite Real Estate team that combines experience, enthusiasm, integrity and professionalism, all backed with strong communication skills and a culture built around team work. Ongoing training and professional development is a non negotiable, and the results to date are testament that he is on the right track. He opened the doors on the 6th February 2012 with a team of 3, which is now 14 and growing. Harcourts Warragul have amassed property sales to the value of over $300m since opening, and have a Property Management department that has increased a staggering 100%. With over a decade of experience in the Real Estate Industry, including many years in the prestigious inner Melbourne market, Jason has built his success through his personal hallmarks of integrity, humility, and dedication to service. Entering the Real Estate industry in 2003, now a long term property professional who is a fully licensed Estate Agent and an accomplished Auctioneer, Jason has an innate ability to make his clients feel at ease, whilst handling such a significant transaction. Away from the office, Jason and his wife Felicity live locally and love raising their two boys whilst thoroughly enjoying the lifestyle that the area has to offer. John Rowe is a fully licensed Estate Agent and Auctioneer experience within the Real Estate industry since 2003. John has been involved in the local sporting and farming communities most of his life which has given him a wealth of contacts to go with his vast knowledge of the district. His focus on rural and lifestyle property, has seen John become a market leader in this sector and his exposure to both domestic and international buyers ensures his strong results will continue. Prior to his Real Estate career John owned and operated a dairy farm which gives confidence to his clients that he has a strong understanding and interest in his market. John´s motivation and enthusiasm to succeed has never been stronger. 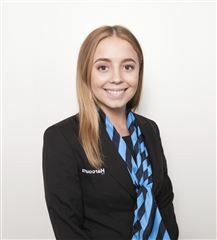 Harcourt’s Warragul would like to welcome and introduce another energetic member to the team, Ashleigh Maguire. Commencing her Real Estate career in 2012 as an assistant in property management, Ashleigh worked her way up to become a Property Manager and will now be joining our award winning team alongside Kristy, Jess and Dannielle. Ashleigh felt it was the right time to take on a new challenge, something to excite and compliment her eagerness to learn while gaining additional skills and experience. Combined with an enthusiastic and approachable nature Ashleigh holds herself to a high standard of expectations which you will see coming through her work and interaction with her landlords and tenants alike. When Ashleigh isn’t working she enjoys numerous outdoors activities, going to the footy and spending time with her family and friends. Possessing an exceptional work ethic and organisation Ashleigh is confident in her abilities and looks forward to catering to all her clientele’s requirements. Harcourt’s Warragul would like to welcome another fantastic member to the team, Jess Barr. Jess has confidently joined our Property Management team, with Real Estate experience since 2008 she is a perfect asset to assist in all clients requirements while ensuring you have a positive dealing with Harcourt’s Warragul. Jess is experienced in managing all residential and rural properties and prides herself of her conflict resolution and believes a positive attitude brings positive solutions. Jess’ vast knowledge in all areas of residential tenancy matters is a perfect way to complete the already outstanding Property Management team. Outside of work Jess is a keen equine enthusiast, volunteers her spare time with the Baw Baw L2P program, and alongside her colleague Kristy they both volunteer for Meal on Wheels. With a smiling and bubbly attitude come in to meet Jess as she is always willing to help with any queries and completes all jobs to the full expectations of her clients. 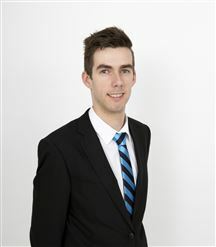 Harcourts Warragul welcomes to the Property Management team Joel Richardson. Having grown up in the local area and graduated from Lowanna Secondary College, Joel spent 6 years in retail and customer service but now has made the transition to start a career in property management. Priding himself on delivering a professional experience with each and every client, Joel assists the property management department with the day to day running to ensure maximum efficiency. A strong emphasis on customer relations was developed during his years in customer service roles prior to Harcourts. His friendly nature and easy-going personality allows him to make strong connections with his clients, ensuring long lasting relationships. Joel has a long term goal to greatly expand his property management skills, and is excited to work with a company who can offer great training and a brand that is dedicated to limitless service and long term ongoing connections with their clients. Harcourt’s Warragul were pleased to welcome one of the districts most experienced property managers Kristy Penington to the property management team. A fully licensed agent with 15 years’ experience Kristy's professional manner makes communication easy, and she prides herself on her efficiency and ensuring she caters to her clients every need. With years of experience in Residential, Commercial, Rural and Vacant land leasing, coupled with her friendly persona, Kristy has an array of knowledge to keep your investment controlled and monitored. Becoming the senior property manager at Harcourts Warragul was a natural progression for Kristy as she leads the property management team with efficiency and client satisfaction as her top priority. Outside of the office Kristy alongside her colleague Jess volunteer for meals on wheels. Don’t hesitate to come into the office and meet Kristy another valued addition to an already thriving team! Amelia Castello joins the Harcourts Warragul team as a Personal Sales Assistant to Kim Durrand. With a 5-year background in customer service, Amelia strives to accommodate and assist any enquiries in a diligent, professional and timely manner. Currently studying in the field of Marketing, Social Media and Public Relations, sheer determination drives Amelia’s strong work ethic to excel in any challenges faced in a friendly way, and effectively communicate professionally with all clients. It is with this research background, her interest in design and real estate that enable Amelia to develop creative solutions customized to our clients’ needs to deliver effective results. Amelia is enthusiastic to assist Kim in the deliverance of impeccable service, and makes a solid addition to the Harcourts Warragul team. 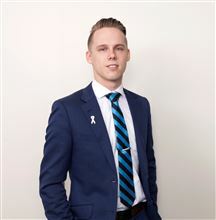 Ash Norris joined the Harcourt’s Warragul team as a Sales Assistant to Brendon Van Eyk. Growing up he’s always been self-motivated and had a strong desire to excel at all challenges and new experiences that come before him, to the full extent of his capabilities. Through previous employment within the local community Ash has a solid understanding of working with people, always making sure this is complemented by a polite manner and respectful nature. Accompanying a strong willingness to develop his knowledge of the sales process, Ash is working towards his certificate IV in property services and is currently building on his plans on becoming a sales agent. Ash will work diligently alongside Brendon and the sales team to ensure Harcourts Warragul continues to provide the highest professional service to all clients. Carolyn Gilcrist has been involved in multiple roles of real estate including administration, property management and sales consultant. Since taking time off to start a family Carolyn has joined the team at Harcourt’s Warragul as their data base architect to further strengthen the already highly motivated and productive team. A very friendly and approachable person, Carolyn prides herself on attention to detail with all client requirements, which goes hand in hand with providing a long term high standard of service. Carolyn looks forward to working with you in the near future. Joining our award winning team as our front of house Receptionist, Harcourts Warragul would like to introduce and welcome Emily Lowrie. After completing VCE and working directly with the public in recent years providing a comprehensive customer service experience, Emily is confident and looking forward to conversing with all current and future clientele. As a self-motivated, energetic and approachable person, Emily strives to deliver an exceptional professional first impression and service that you have come to expect at Harcourts Warragul. A highly motivated and dedicated individual keen to build her knowledge in all facets of the Real Estate industry Emily is looking forward to contributing to the efficient and effective running of the Harcourts Warragul team. Nicole Lancey joins the Harcourt’s Warragul team as a Personal Sales Assistant to John Rowe our Rural Property Specialist. Having successfully completing year 12 at St Pauls Anglican Grammar School in Warragul, Nicole has shown a strong work ethic and knows the value of hard work that’s required to succeed. Growing up on a large scale dairy farm Nicole was keen to furthering her Real Estate knowledge, while keeping her connection and appreciation with the rural background that she’s been brought up on. Through previous employment within the veterinary industry Nicole has an understanding of working with both people and animals, always making sure this has been accompanied by a polite manner and is respectful with everyone who she’s come in contact with. Accompanying a strong willingness to develop her understanding of the sales process, Nicole will work attentively alongside John and the sales team to ensure Harcourts Warragul continues to provide the highest professional service to all clients. Commencing her Real Estate career in 2014, Shaney has risen quickly through the ranks at Harcourts Warragul and now works alongside lead agent Jason Lee in a role dedicated to strengthening the service provided to all clients. With a background in Marketing and Administration, Shaney understands the key ingredients to a successful sale, and is a valuable asset to Jason and the wider team. Away from work, Shaney is an extremely community minded individual and regularly participates in volunteer work with a variety of groups, as well as pursuing her love of travel when time permits. Knowledgeable, friendly and always positive, Shaney is proud to represent Harcourts and delights in assisting all clients to have an exceptional customer experience. Harcourts Warragul would like to introduce Sales Administrator Stephanie Archer. A highly motivated and dedicated individual keen to build her knowledge in all facets of the Real Estate industry. Having completed her VCE and Cert III in Business Administration coupled with experience of working directly with the public, Stephanie is confident in assisting to make any dealings with Harcourts Warragul enjoyable. Stephanie strives to deliver an exceptional service that you have come to expect at Harcourts Warragul. Impressive Home with the lot. Looking to build close to CBD? "But does it have a shed?" Fancy a walk to the park? Location will be hard to beat! A Rare 2.28 Acre Find!